Bai Tu Long National Park is a protec ted area zone in northeastern Vietnam. It was established in 2001, succeeding from the former Ba Mun National Conservation Zone. It is one of seven Vietnamese amphibian national parks which has both terrestrial zone and aquatic zone. Approximately 140 km2 in Ha Long Bay. Cat Ba island is commonly used as an overnight hotel stop on tours to Ha Long Bay run by travel agents from Hanoi. 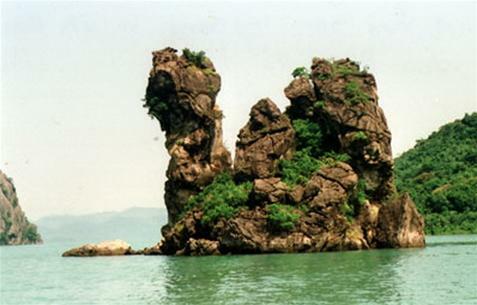 It is the largest island in Ha Long bay and approximately half of its area is covered by a National Park. New Hotel is a really New Hotel which added to the chains of Thien Phu Co., Ltd. with 2 hotels in Hanoi, Vietnam. The hotel was built and completed in early 2009 with a youthful style and completely designed modern with 5 floors and 15 rooms as International standard.